Apple has just dropped iOS 7.1 for iPhone, iPad and iPod touch owners, with features spanning from Siri improvements to the introduction of CarPlay. 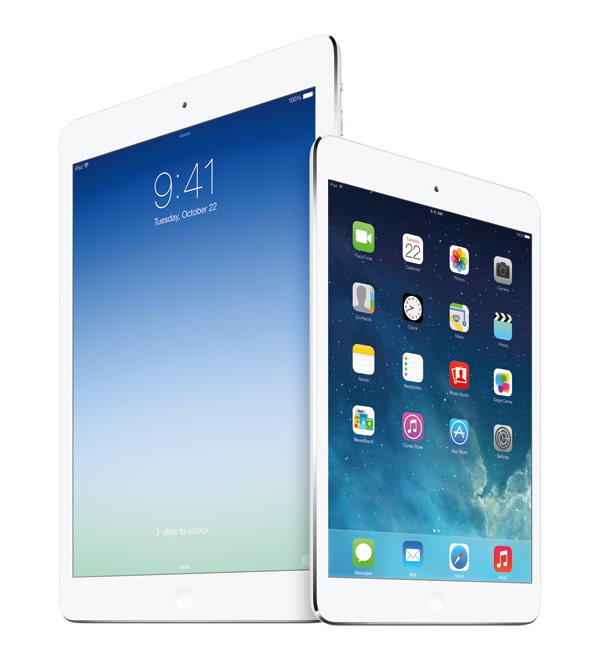 But precisely which features you’ll be getting depends largely upon the region in which you reside, and if you’re unsure as to what to expect after downloading and installing iOS 7.1, then Apple has created a useful check-list. For users of Apple products, today has been a pretty significant day. Developer app Xcode has been bumped to version 5.1, while the Apple TV firmware has also jumped to iOS 6.1. But the real story is the long-awaited release of iOS 7.1, and while CarPlay, the fruit company’s in-car flavor of iOS, is the most noteworthy addition to the fold, it’s not rolling out to everybody just yet. 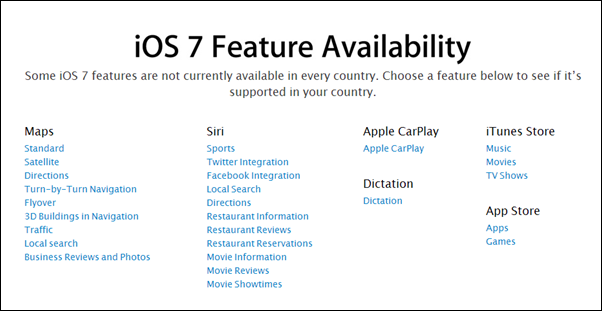 In fact, CarPlay is only currently available in 13 markets, including the United Sates, United Kingdom, Canada, Australia, Hong Kong, Japan, Mexico, Korea, and a select few European nations. Similarly, the major improvements to the Siri voice assistant, which adds novel features like movie reviews, info and show times, are also not ready for prime time in certain regions, so before you get too excited and reach for the popcorn, be sure to refer to the list Apple has provided on its official site. Thanks to the update, Siri is now a lot more useful when it comes to context-based information, and is now of a similar disposition to Google Now. This can only be a good thing, though, and having initially rolled out with iOS 5, Apple’s digital assistant is finally shaping up as a ‘proper’ feature that people might actually want to use on a frequent basis, rather than just seeing it as a novelty. We’ve been trying out iOS 7.1 here for the past few hours since its release, and have been rather impressed so far. As well as the new features, general functionality feels snappier and smoother, and although it’s early days, we haven’t noticed any lingering bugs or teething issues that often manifest following a software update.